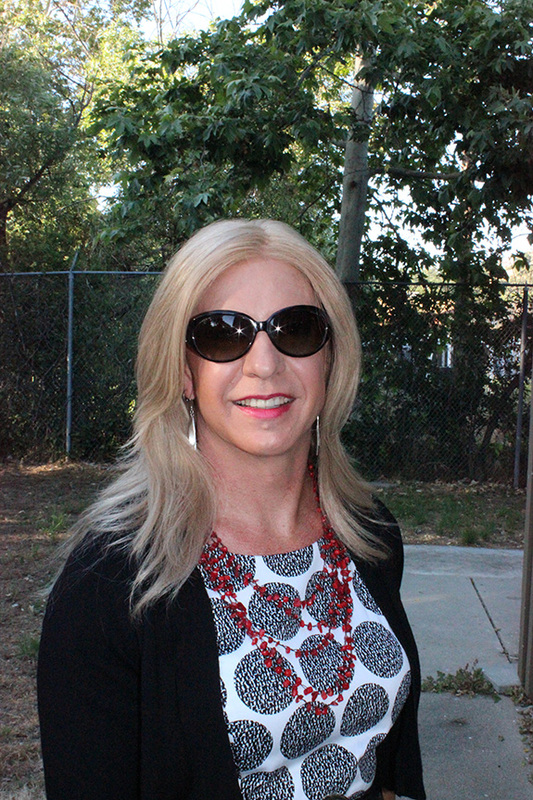 Recently I had the opportunity to do some shopping at my favorite outlet mall in Livermore CA. I love that place, and they expanded it!! Crazy! I did not have much time to dawdle about though and so it was a fast shopping event. Basically I went into a few of my favorite stores and quickly assessed the situation. Of course I had to go into White House Black Market, right?! It was funny though as I was dressed as a man while shopping. Upon entering the store I was asked if they could help me with anything and I said, no that I was just looking. I didn't see much until I spotted this dress. Luckily they had it in both an 8 and a 10, my two prime sizes!! Of course I informed them that I would be needing a dressing room. Without skipping a beat, a sales associate got me a room. They both fit, but the 10 was much more comfy, and less sausage like in appearance. When I exited the room, the sales associate asked if it worked for me, just as if I was any other normal customer. I was so excited about buying this dress that I totally forgot my Coach shopping bag in the dressing room. Thankfully the sales associate reminded me about it as I was about to walk out the door! 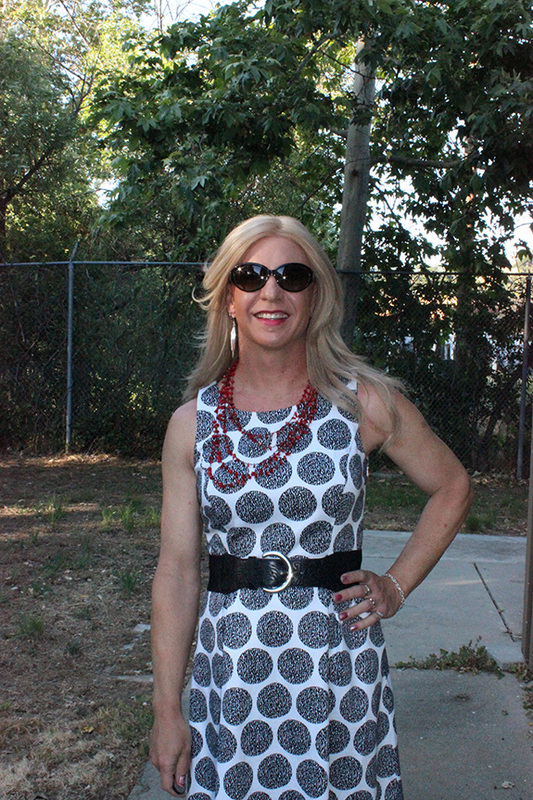 A week later I was thrilled to be able to wear this dress out to dinner to meet up with my friend, Jennifer. She invited Jules and I out to dinner while we both happened to be in the Paso Robles, Ca, area. The three of us had a great dinner, eating, and chatting for about three hours. Wow! What a great time. Unfortunately I totally forgot to get a picture of the two of us together, yet again!! Bummer!! Love black and white polka dots!! Boy I really like your new dress. The 10 appears to fit you very well. It looks really comfortable and summery. The way you use the belt gives you a nice curvy look and the red neckless adds a nice contrast. I generally lean towards the pastels but I think I am going to give the black and white patterns a try. Thanks Charlene. I agree about the belt adding some curves! Great look! Totally rockin it. I really love the chunky belt/cropped sweater combo. Definitely trying that out! Very nice outfit.